Born at Waterloo, Ontario on 29 May 1851, son of Isaac S. Decker (?-1876) and Sarah Hunt (?-1885), he attended schools of Lambton County until the age of 18 years, after which time he worked on the family farm. In 1873, he began working as a carpenter on the Grand Trunk Railway, coming to Manitoba in 1881 and taking up a farm in the western part of the province. In addition to growing crops, he raised horses, cattle, and swine. When the Canadian Northern Railway constructed a line through the region, it purchased forty acres of Decker’s land to establish a station and townsite that they named Decker in his honour. On 7 October 1879, he married Martha Alice Frankland (1856-1945), daughter of Robert Frankland and Elizabeth Gofton, at Peterborough, Ontario. They had seven children: Herbert J. Decker (?-? ), Frederick Walter Decker (1883-?, husband of Annie G. McConnell), Naomi Sarah Decker (1885-?, wife of Frederick L. Cook), Mabel Decker (1886-?, wife of Frederick Wyatt), Robert Scenica Decker (1889-? ), Albert Lemual Decker (1891-?, husband of Myrtle I. Sunley), and Lily May Decker (1896-?). 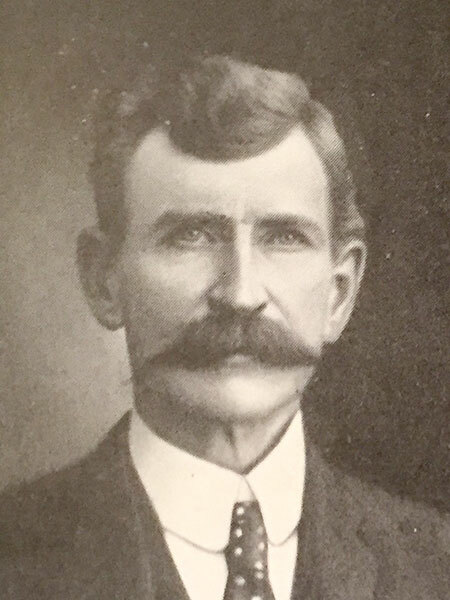 He served as Reeve for the Rural Municipality of Hamiota (1915-1916) and Secretary-Treasurer of the Ethel School District. He was a member of the IOOF. He died in 1926.